CHENNAI: Researchers at the Indian Institute of Technology, Madras (IIT-M) have developed a “real-time exhaust emission prediction model,” stated to be for the first time, that can help manage urban air quality and aid traffic planning in India. Imagine a mobile app flashing emission levels of your car in real time, helping you to make necessary changes in driving, assisting policy makers in managing grid-wise traffic flow, indicating roads that register the highest pollution levels and warrant traffic decongestion, besides improving the Indian emission standards. IIT-M Ph.D student Rohit Jaykumar, who developed the model, claims that all this can be realised with the artificial neural network (ANN)-based new prediction model. A sample study was conducted using 10 different diesel passenger cars under different traffic conditions to measure three pollutants, including nitrogen oxide (NOX), carbon monoxide (CO) and hydrocarbons (HC). Sardar Patel Road (3.2 km), which has four lanes, and the two-lane Velachery Main Road (4.4 km) were used for the testing. Separate software was indigenously developed to sync onboard diagnostics (OBD) port in the vehicles and ARAI certified AVL Digas analyzer, which can record emissions at 1 Hz under real-world operating conditions. “The results were astonishing. The vehicular emissions were 25 times higher than conventional predictions,” Jaykumar said and added that he had now widened the scope of study to test the model for different types of vehicles. The new model is claimed to have an edge over the COPERT model, developed by the European Environment Agency (EPA), used world-wide to calculate air pollution and greenhouse gas emissions from road transport and emission factors recommended by the Automotive Research Association of India (ARAI). The model is foolproof since it works in real time. Last September, Volkswagen faced worldwide backlash after a Chennai-born scientist at West Virginia Centre for Alternative Fuels, Engines and Emissions (CAFEE) unearthed the diesel emission scandal wherein cheating software was installed in cars that masked the vehicle’s emission levels while in test conditions that triggered a debate on conventional emission prediction models. 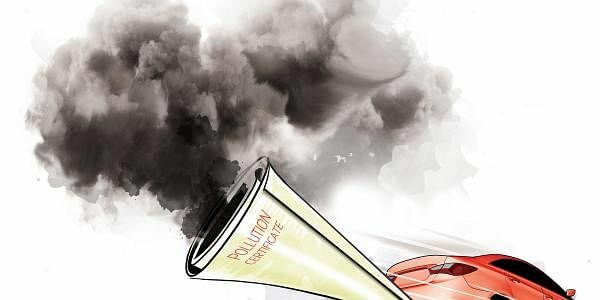 Project guide SM Shiva Nagendra, of the Department of Civil Engineering, IIT Madras, said traffic in India was heterogeneous and contributed a significant amount of atmospheric pollutants. The current conventional models are laboratory-based, using average vehicle speed which could not account for the range of vehicle operations like low speed, frequent acceleration, deceleration and traffic congestion. “Therefore, the contribution of exhaust emissions to local air quality is several times higher than the emissions quantified through conventional emission prediction models. ARAI in India uses the conventional laboratory-based information for vehicular testing and certification. So to control vehicular air pollution in the urban area, accurate real time emissions measuring models are essential,” he said.